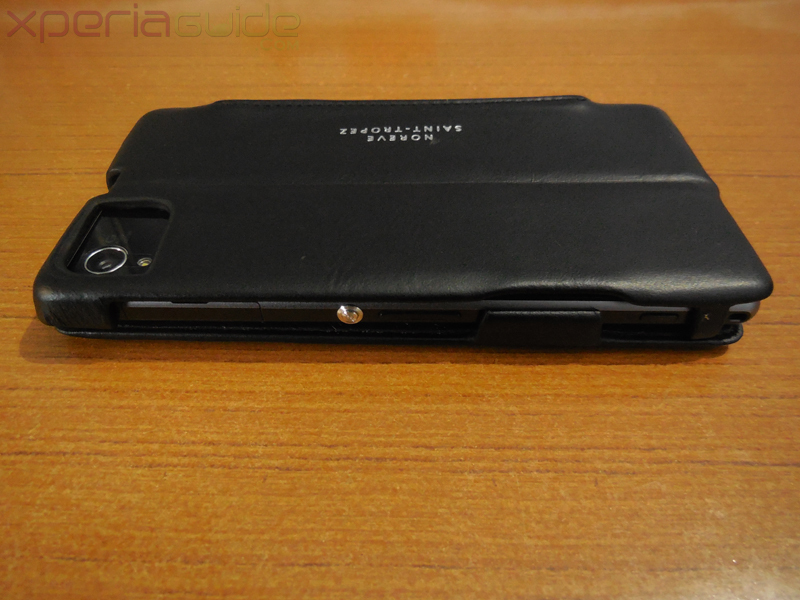 Today we have brought another leather flip case for review from Noreve, exclusively for Xperia Z1. 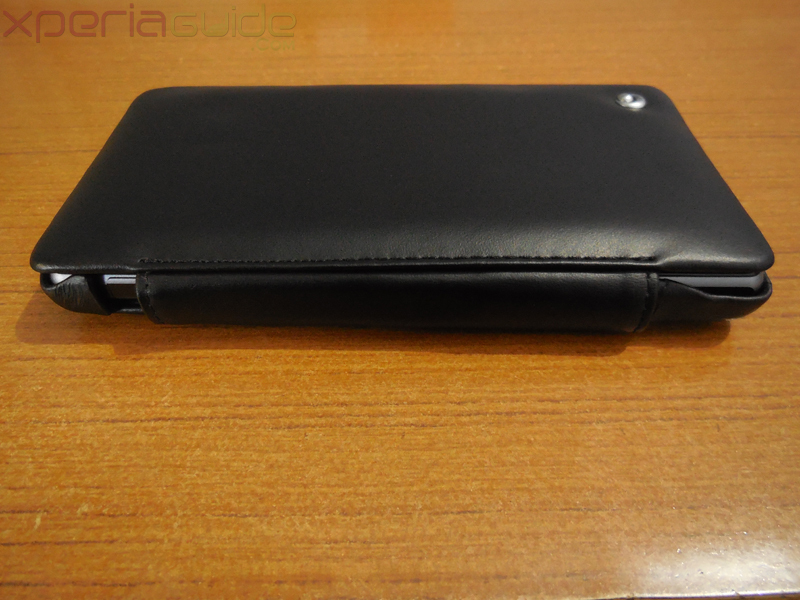 In past we have reviewed leather flip cases for Xperia Z, Xperia Z Ultra, Xperia SP and Xperia ZR from Noreve and one of the finest leather quality we have seen in the cases manufactured by them, it’s just superb. 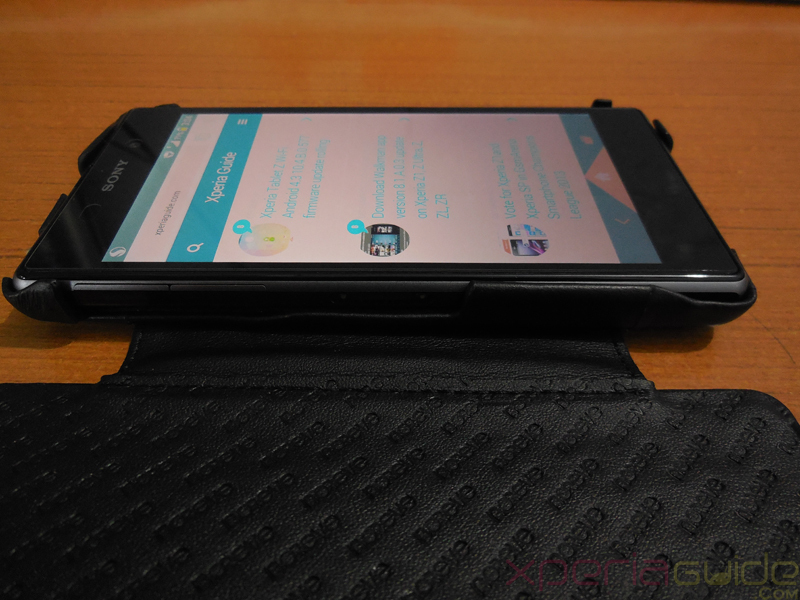 We will be reviewing two different cases for Xperia Z1 here in two different posts. 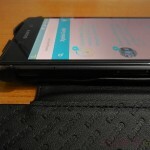 Xperia Z1 Leather Flip Case from Noreve, model number Tradition D is priced at 44.08€ inclusive of all taxes and ships world wide with in 24 hours free of cost. 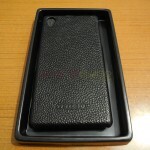 You get to design your own case if you want, choose the various color combinations and textures available. 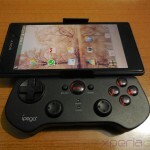 You need to pay extra 4.17€ for customization excluding default black color case. 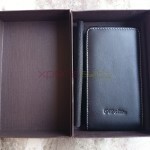 Option for gift wrapping the case is also available on paying extra 5€. 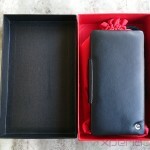 As usual it came in black and red box combination which looks very neat for a retail box of a phone’s case. 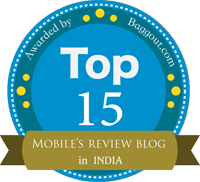 Let’s have a look at it. 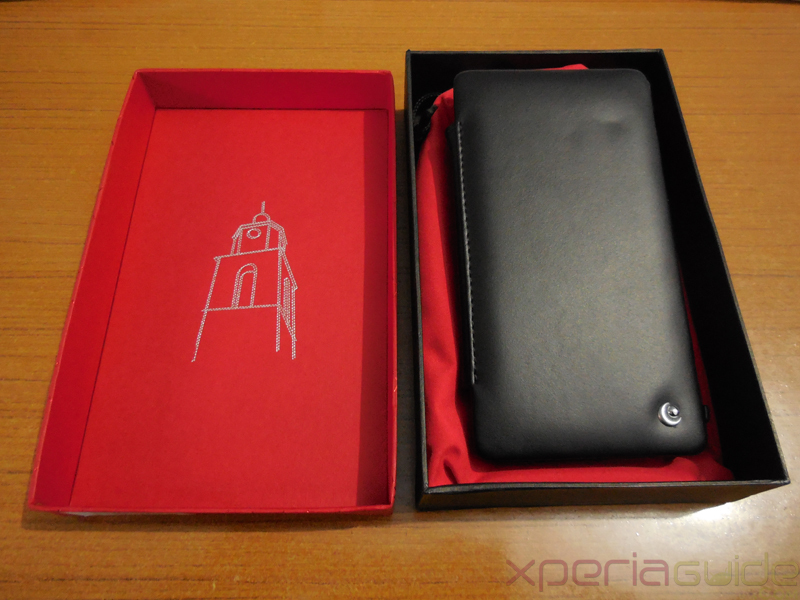 Case is present inside a red pouch. 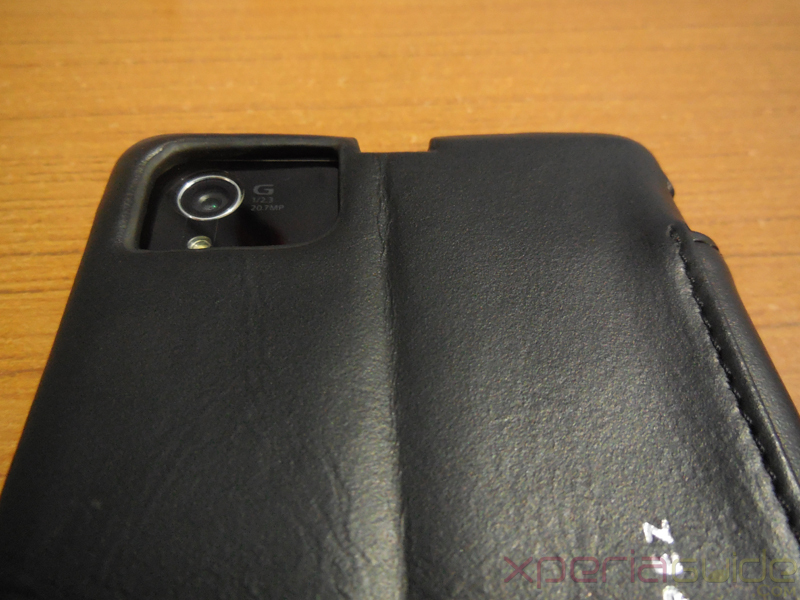 Now let’s have a look at naked Xperia Z1 Leather Flip Case from Noreve. In the above pic you can see on front is has Noreve’s brand logo on bottom right corner. At back Noreve- Saint Tropez is written in silver color and stitched in black thread. 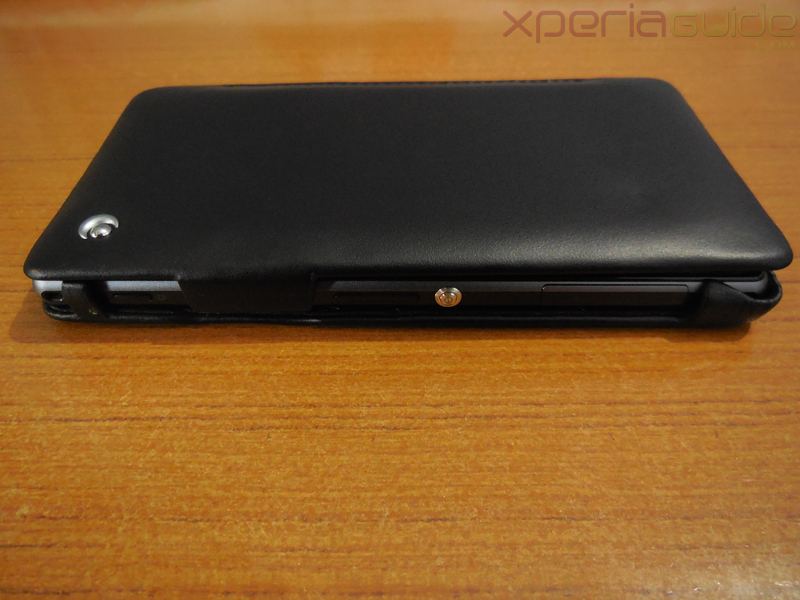 Let’s put Xperia Z1 inside the case. Case fits perfectly. 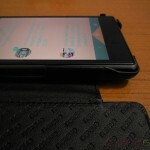 Notice the front flap’s inner lining there is Noreve embossed everywhere, surface lining is smooth so that no harm to screen is made. 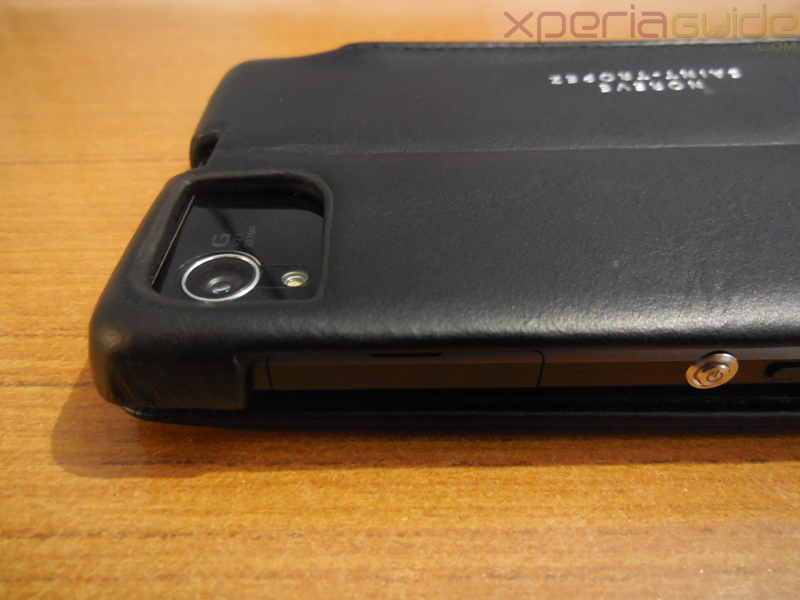 All bumper clips are at perfect place so that phone fits firmly inside case. 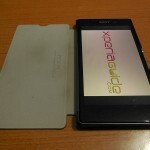 Non-magnetic closure is included in the case. 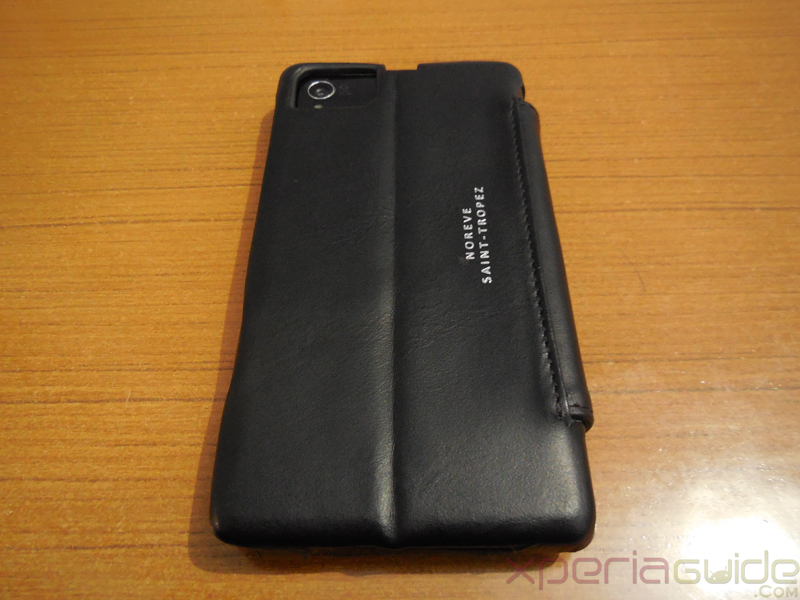 Xperia Z1 inside the case. 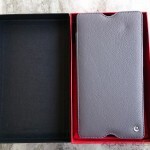 Do notice the width of the flaps of case. Perfect space for speaker grills in the case. Notebook style of case. You can’t access any ports while case in on along left profile of case i.e. 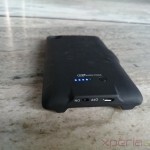 you can’t use magnetic charging dock DK31 or EC21 charging cable while this case is on. Opening for 3.5mm headphone jack in the case. 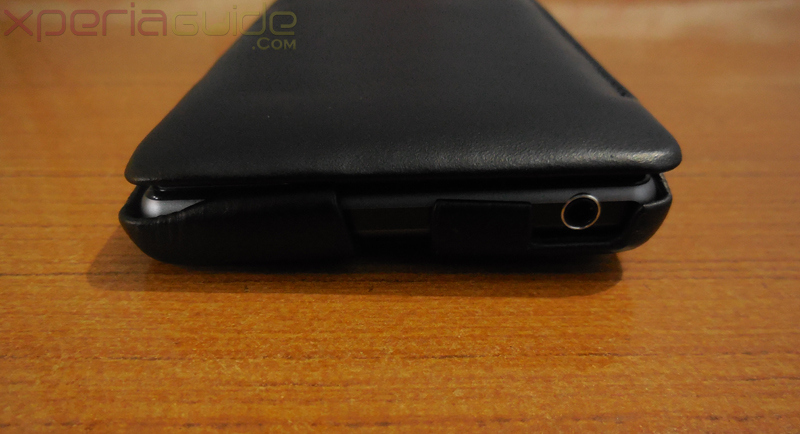 Do note that there is no opening for hearing speaker on front flap which means if you use the phone for call while case on then hearing sound will be very low as what we faced. 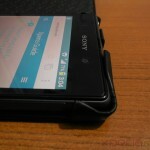 While case in on, you may still be able to access the power button, volume rocker keys, SIM card slot and external camera key on right profile of Xperia Z1. 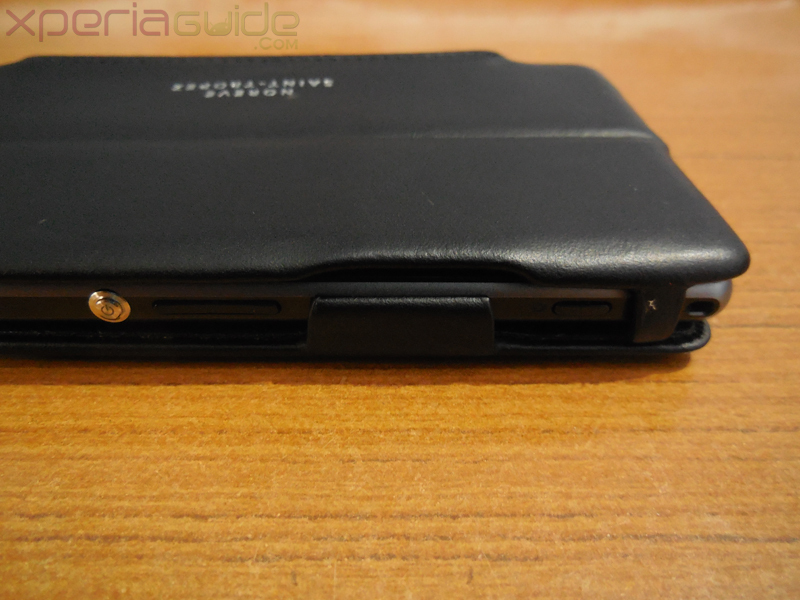 SIM card slot port opening. External camera shutter key opening. Perfect camera opening in the case without any obstruction for LED flash light. An opening for secondary microphone is also provided at top. 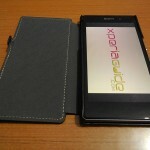 Noreve logo is embossed in whole inner lining of front flap. Protection against normal daily life shocks and jerks. Can be used as a back stand. 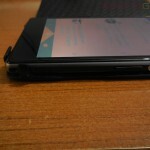 Absence of hearing speaker slot in front flap. 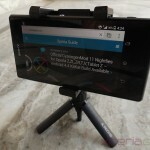 Some users may find it a bit expensive but it’s a quality product you must admit. 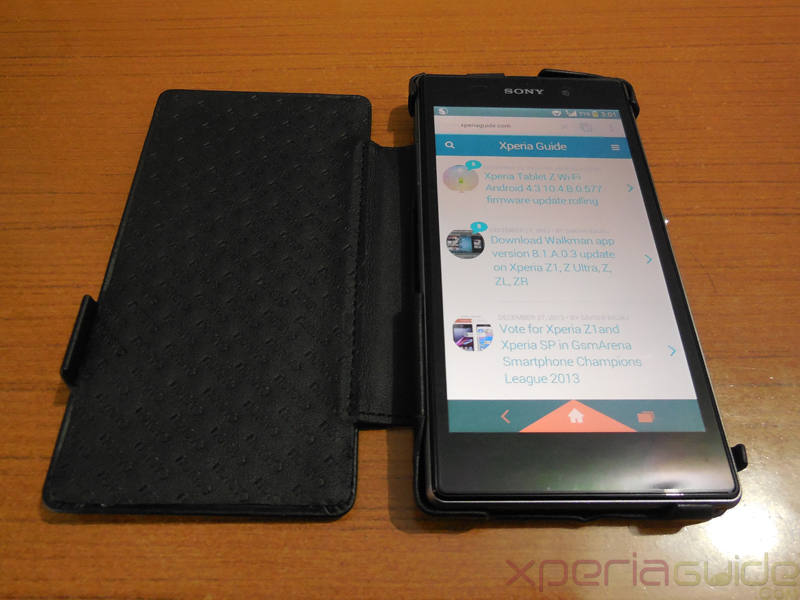 Thanks Noreve for providing case for review 🙂 Check the official listing of Xperia Z1 Leather Flip Case from Noreve. 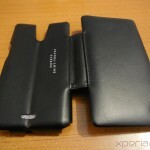 Do let us know if you have ever used a mobile case from Noreve, do you like the leather quality. 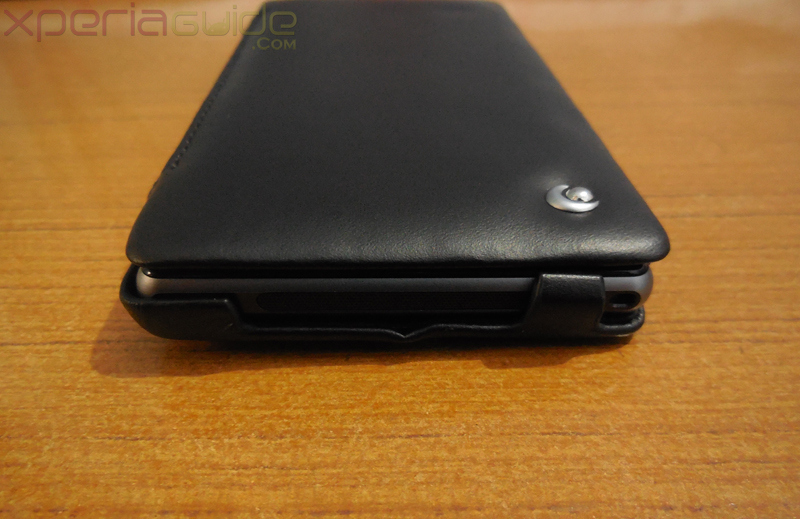 If you are using some other good quality leather cases for Xperia Z1, let us know in comments.